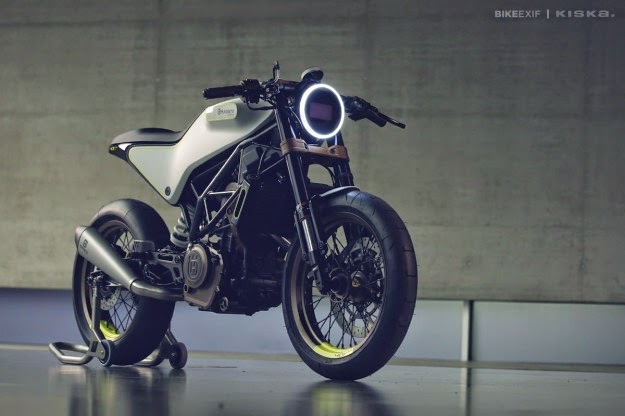 The figure of extreme cutom motorcycle seen in the Husqvarna 401 Svart Pilen, which is the work of Kiska. This bike has a single cylinder engine with a capacity of 373 cc. And this custom Husqvarna 401 been on display at EICMA 2014 sometimes ago. 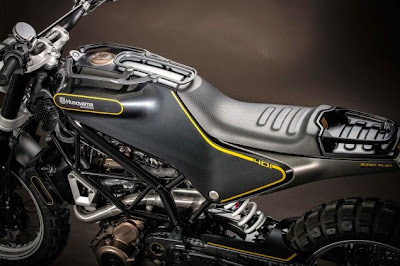 By the renown industrial design company, This Swedian's motorcycle brand deliberately dressed up with off-road concept. Although there is a change but the classic impression still clearly visible. One of them seen on the fuel tank shown fused with the body cover. There are two machines: the Vit Pilen (“White Arrow” in Swedish) and the Svart Pilen (Black Arrow). They take their inspiration from the famed Silver Pilen of 1955—a machine that was lighter, smaller and faster than its competitors. The 401 concepts are anything but antiquated, though. They’re sporting upside-down WP forks, lightweight trellis frames, and 17-inch wheels with modern rubber. Power comes from a state-of-the-art 400 cc water-cooled single. 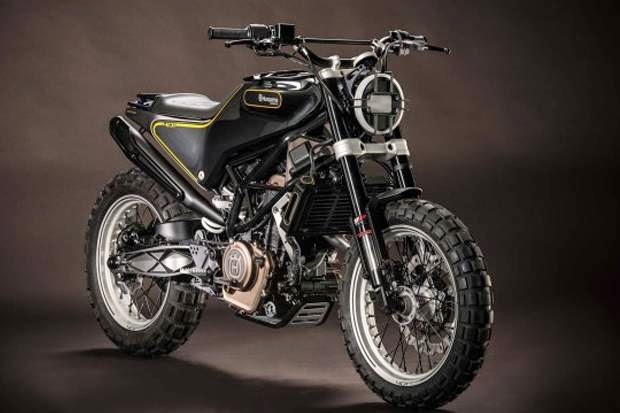 Output is 43 hp and the bikes weigh a mere 135 kg (297 pounds). With single seat design which is claimed to remain comfortable on the offroad ride. The Husqvarna 401 was very suitable accompany the adventurous enthusiasts, as above the fuel tank there are the rack that has a functions for the mini luggage.